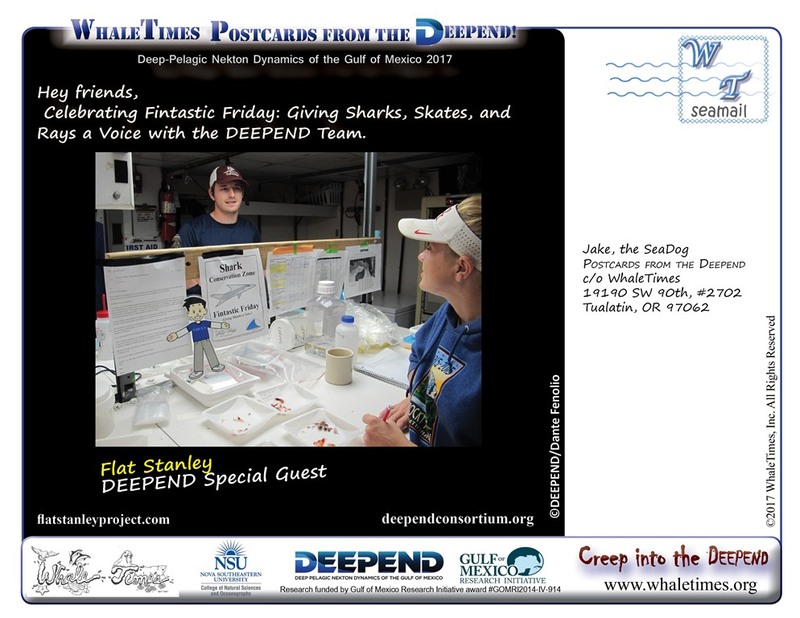 Fintastic Friday | WhaleTimes, Inc.
Meet a gorgeous shark, the six-gill shark. 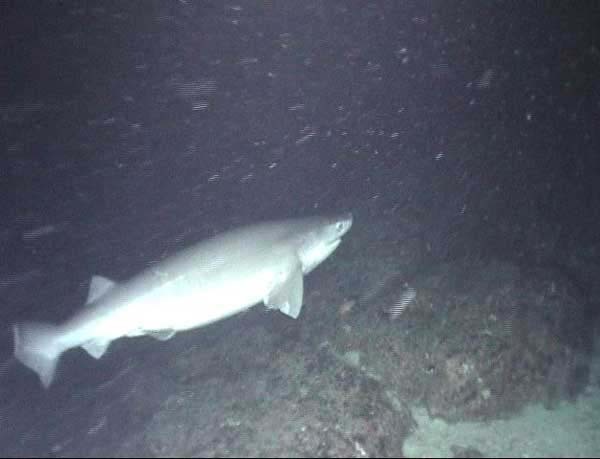 This is a deep-water shark and as you can guess from the name, it has six gill slits. Those are the openings the water goes out after it passes over the gills. Most other sharks have 5 gill slits. A couple have 7. The six-gill shark’s relatives date back over 200 million years. 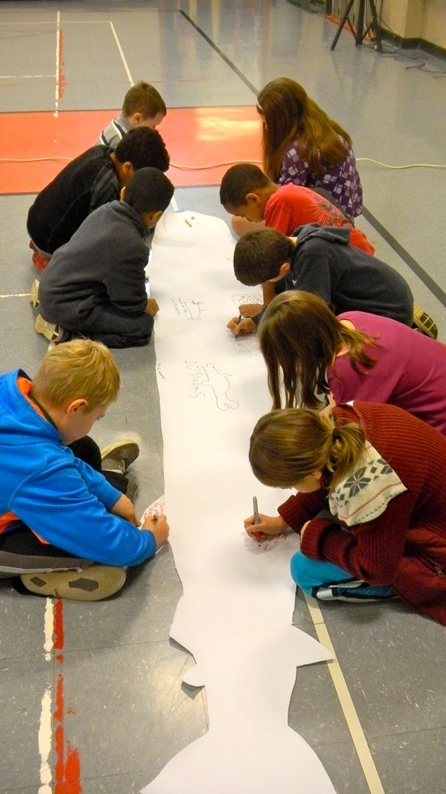 It has a heavy and powerful body with a round blunt snout. 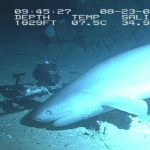 A six-gill shark’s color ranges from tan, brown, gray and even to black. Six-gills grow up to 18 feet (5.5 meters) long. That’s longer than a utility vehicle. 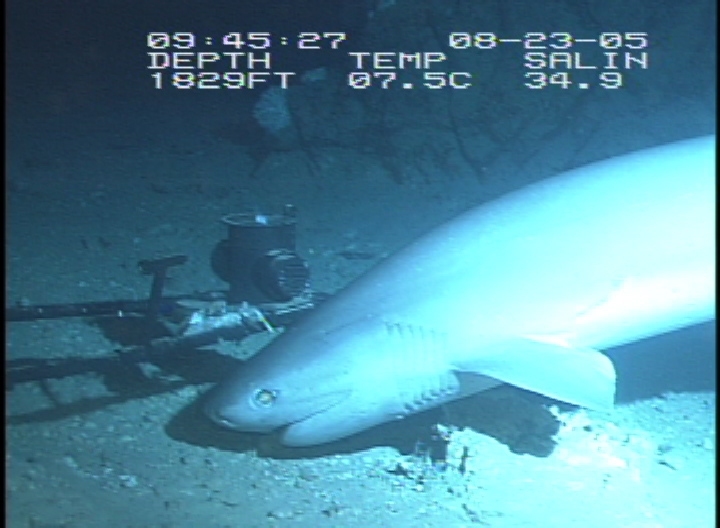 Female six-gill sharks are larger then the males. Another way six-gill sharks differ from other sharks is that its dorsal fin. It only has one (which isn’t unusual) but the one dorsal fin is located further back near the tail. Other dorsal fin of other sharks is usually near the center of their body (on their backs, of course). 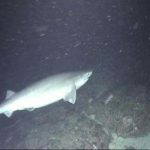 Like the prickly shark, the six-gill might appear slow and sluggish when caught on film by an ROV or the very cool “Eye-in-the-Sea” camera. But hey, how would we look sitting on the couch texting friends or binge watching your favorite show? In between meals, a six-gill doesn’t waste energy zooming around the sea. When hunting, though, six-gills burst into action. They ambush prey from a close range. Six-gills eat small fishes, snails, crabs, shrimp, and squid. Because of its deep-sea lifestyle, little is know about its reproductive behavior or other behaviors. 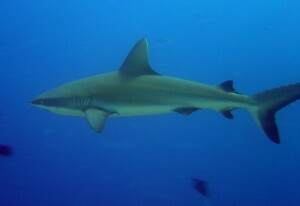 Six-gill sharks are threatened due to being overfished and caught in nets set for other species. Happy Fintastic Friday. 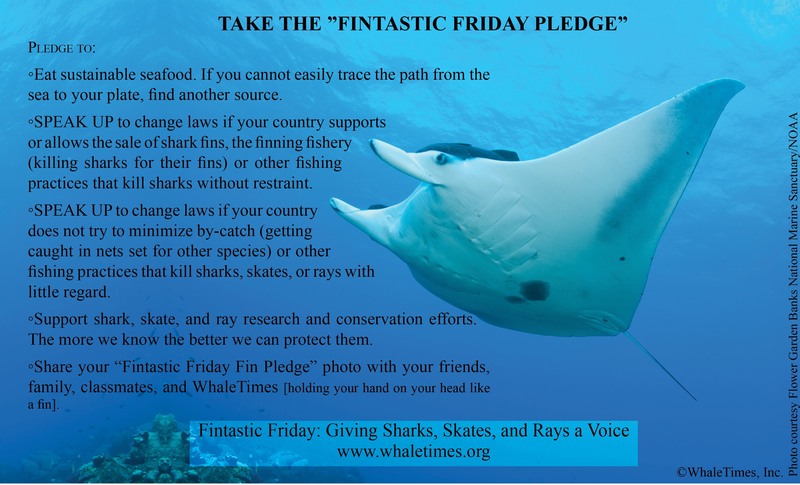 Together we can save sharks, skates, and ray! 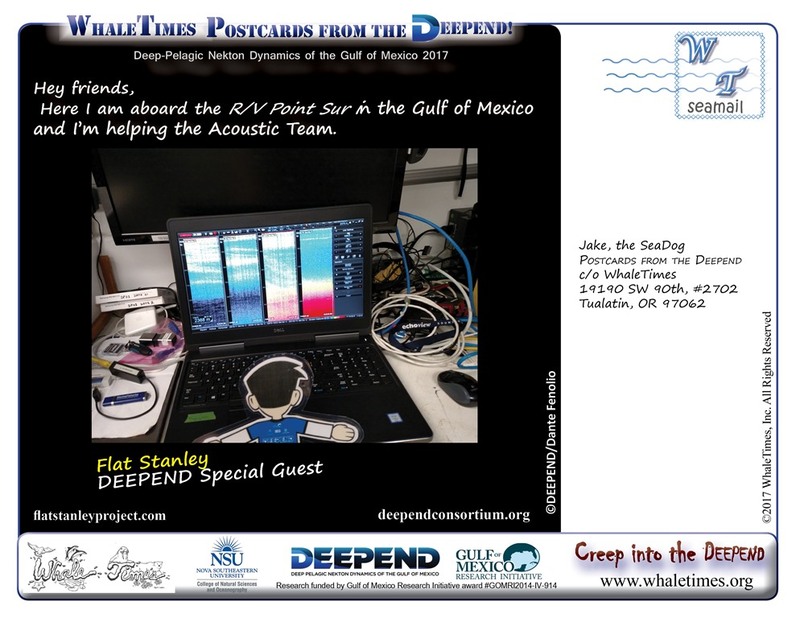 Posted in Fintastic Friday, WhaleTimes Updates | Comments Off on Today is Fintastic Friday! 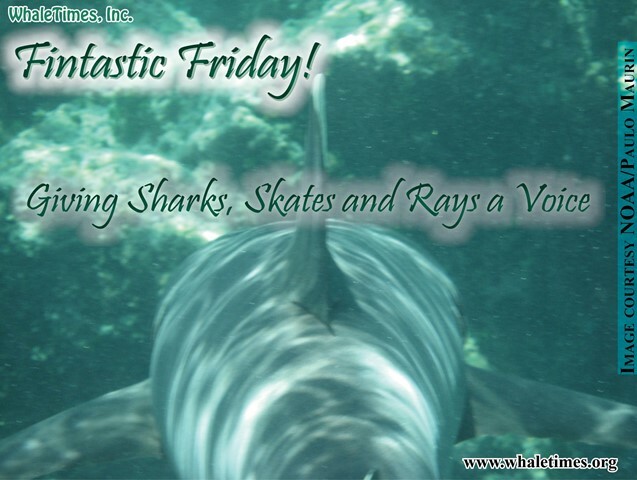 Happy Fintastic Friday: Giving Sharks, Skates and Rays a Voice! Fintastic Friday celebrates sharks and encourages everyone to find ways to change public opinion about from hatred to love and fear to appreciation. 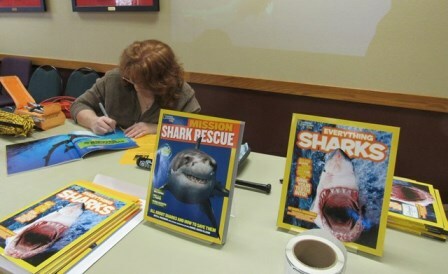 Think of it as Earth Day for sharks! 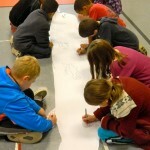 Why a day for sharks? 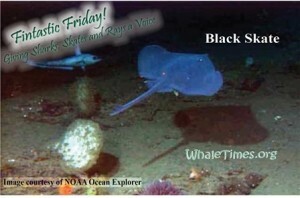 Shark, ray, and skate populations throughout the world are in peril, some threatened and others critically endangered. All of them need more people to care. We know people and scientists can encourage governments to save sharks the same way they pushed for protection of whales so long ago. 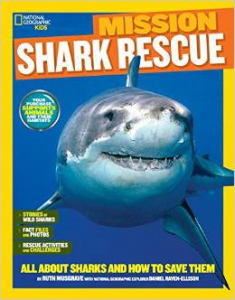 In fact, there are many countries stepping up to protect sharks by creating sanctuaries for sharks, but more need to be part of the solution. 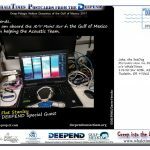 Generous organizations like Save our Seas Foundation for supporting research throughout the world and the tireless work of the IUCN Shark Specialist Group raising awareness and adding to our knowledge of sharks. and the pocket shark for being one more reason to protect the oceans because there’s just a lot of weird and cool critters out there we need to discover and protect (not necessarily in that order)! 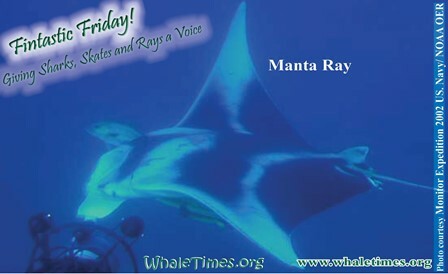 This year’s Fintastic Friday dedicated to Eugenie Clark, an inspiration to all of us to protect our oceans. Thank you. 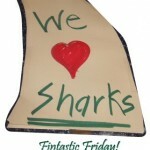 Celebrate Fintastic Friday this week! Fintastic Friday: Giving Sharks, Skates, and Rays a Voice, one of the best holidays ever, is this Friday! Sharks, Skates, and Rays have roamed seas and rivers for…well…practically forever! Their elegant adaptations, from nose to tail, are extraordinary. Their dignified beauty often goes unrecognized or misunderstood. That’s why sharks, skates, and rays are in trouble. Overfishing, finning, habitat destruction, and pollution have put many species in peril, threatening them with extinction. They need people who care to raise their voices. What can you do? Let people know the real shark, the tiny lanternshark deep in the sea glowing quietly. The quirky cookiecutter shark taking bites out of whales ten times its size. The gigantic basking shark slurping plankton at the surface. What about the incredible manta ray gracefully dancing through the water? Who doesn’t love the toothy snouts of sawsharks and sawfish? All of them need our help. Sharks have many fans, but many more people who do not appreciate or understand them. 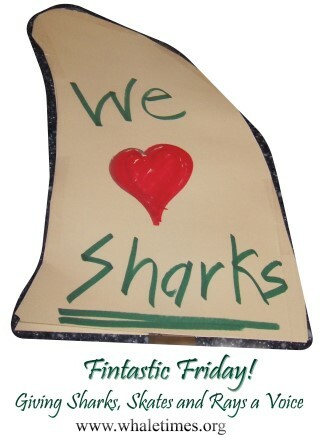 That’s the purpose of Fintastic Friday, to let people know the real animal. Get Zoned signs. Print and post on your door, at your school, local store or where ever you can. We have two versions One with a yellow background, one without so you can print it on any color paper you want. What else can you do? 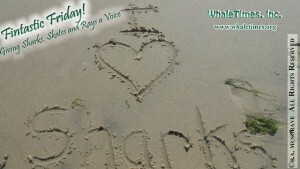 Create, write, and send a “Bigger as Life” thank to your favorite shark, skate, or ray expert. Get the word out! 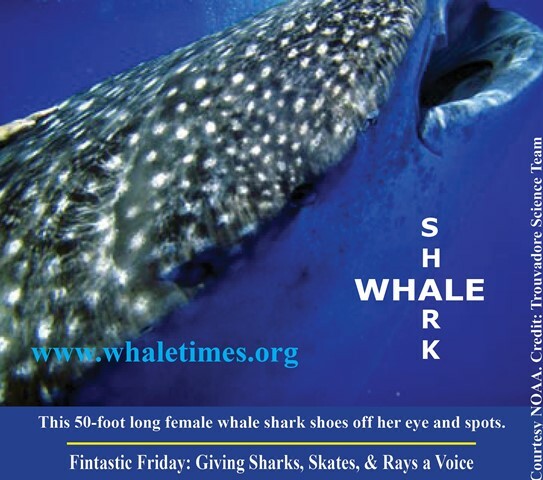 Share or Like Fintastic Friday on the WhaleTimes Facebook page. 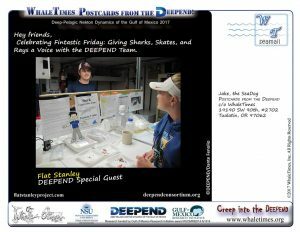 Posted in Fintastic Friday, WhaleTimes Updates | Comments Off on Celebrate Fintastic Friday this week!